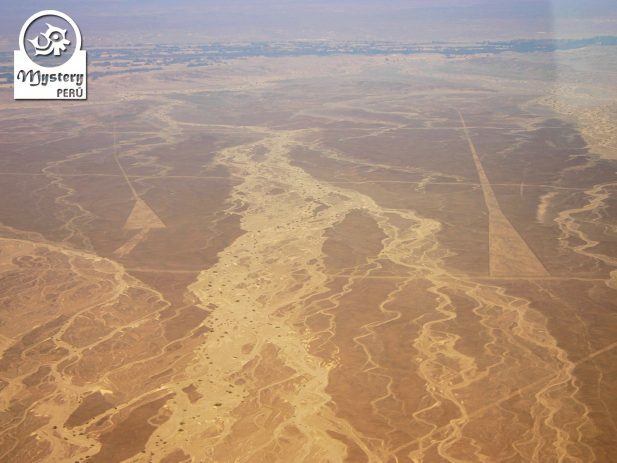 Our trip includes a visit to the Huacachina Oasis and a scenic flight over the enigmatic Nazca Lines. 08:30 h. Our program starts at your hotel in Lima, our guide will pick you up from there. Afterwards we will drive to the south of Lima, towards the city of Ica. Once in Ica we visit a small vineyard where we locals produce a grape spirit known as Pisco. Later on, we visit the Archaeological Museum of Ica. This interesting building houses the remains of ancient cultures dating back to 200 BC. The museum displays fine textiles, elongated skulls,cranial surgery and mummy bundles. Additionally you also can see old musical instruments, weapons and would carvings. 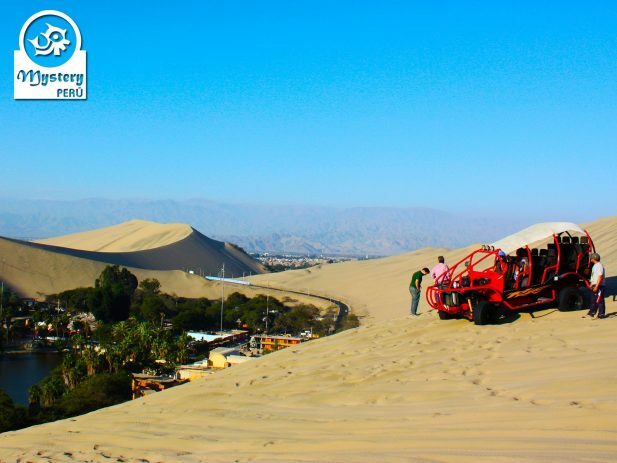 Following the schedule, we arrive at the Huacachina Oasis, where we join a dune buggy tour. During the ride we will have the chance to practice Sandboarding. Afterwards we continue our journey towards the City of Nazca. Overnight in Nazca at the Hotel Casa Andina *** or similar. 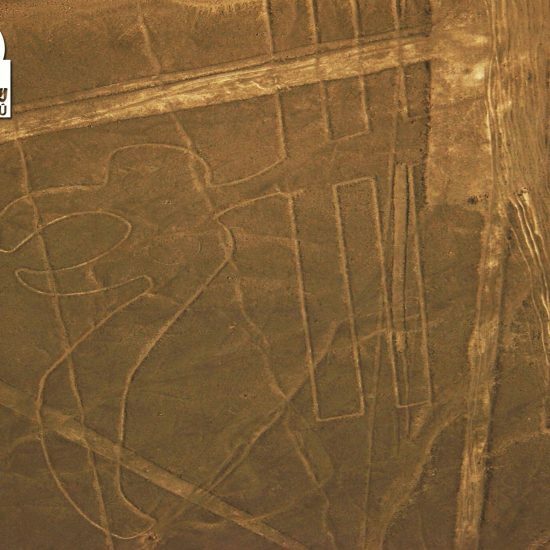 Day 2°: Nazca Lines Flight – Return to Lima. 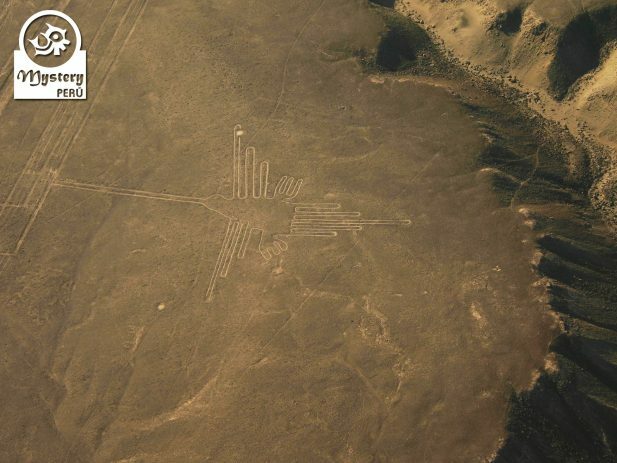 08:00 h. Our guide will pick you up from the hotel and then transfer you to the Nazca airport. 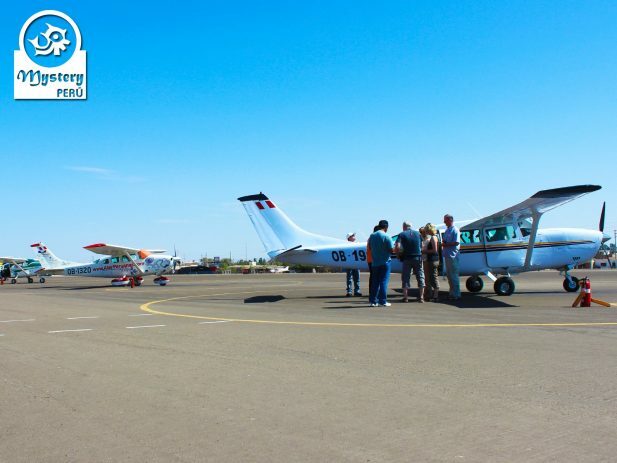 For this aerial tour, we use a small, Cessna aircraft which has spacious room for 5 people, each one gets a window seat. Before boarding the plane, each participant receives a Nazca Lines Map, which will be very useful during the flight. Among the animal figures, you will see a representation of a monkey, a spider, a whale, and other creatures. Likewise, you will see various birds, such as a condor, a hummingbird, a parrot and a heron. Eventually we will drive back to the city of Lima. Upon arrival in Lima, we will drop you off at your hotel. 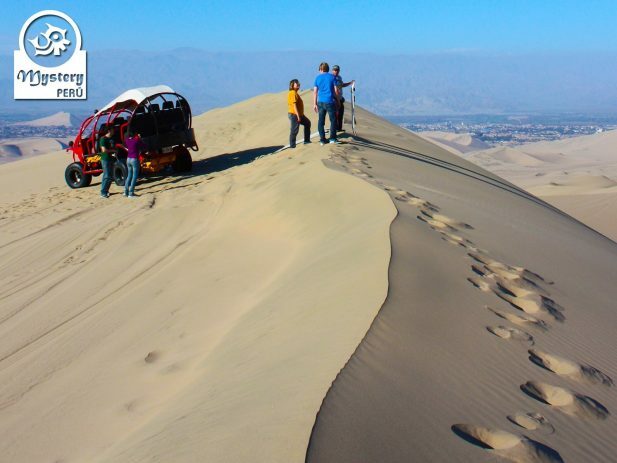 Our Tour to Huacachina Oasis & Nazca Lines from Lima is subject to availability. 08:00 h. Pick from your hotel in Lima. Mystery Peru Transportation. Lima - Ica. 12:00 h.Arrival in Ica. Guided visit to the vineyard of Pisco. 14:00 h. Guided visit to the Regional Museum of Ica. 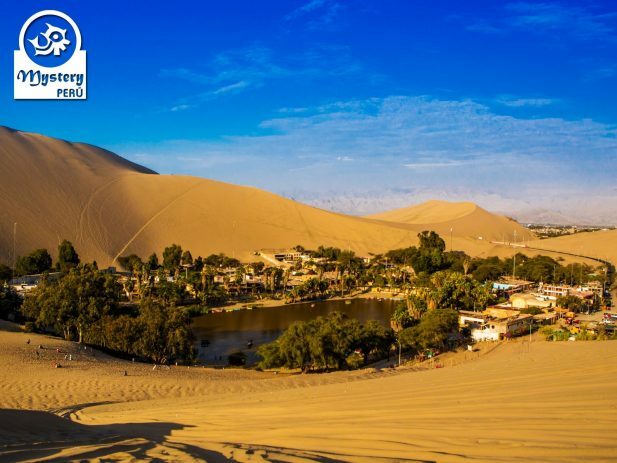 15:00 h. Transfer to your hotel located at the Huacachina Oasis. 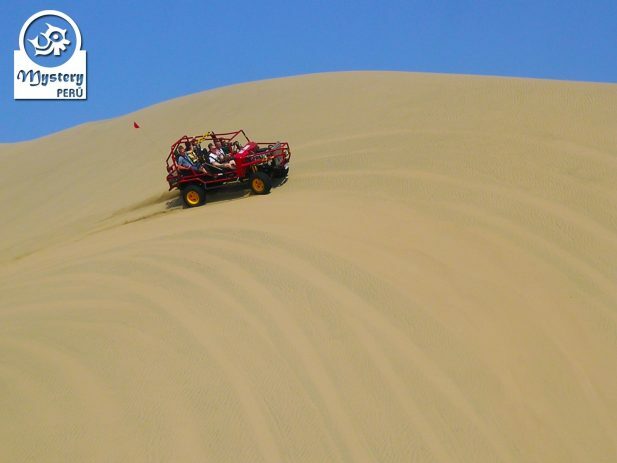 16:00 h. Dune Buggy excursion around the Huacachina desert. 17:30 h. End of the dune buggy tour. 17:45 h. Departure to the city of Nazca. 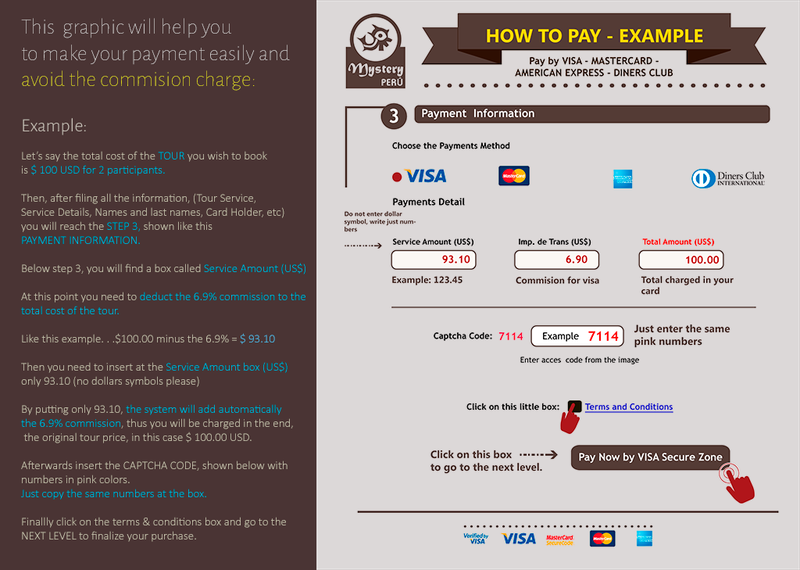 08:00 h. Pick up from your hotel and transfer by private car to the Nazca airport. 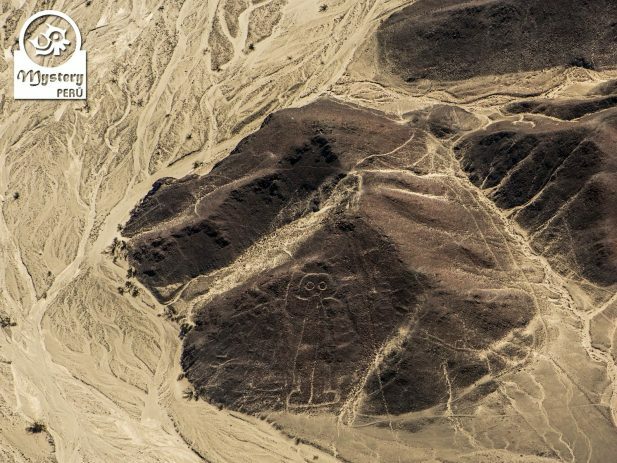 Visit on route the Nazca Lines metallic tower + Entrance fees. 10:30 h. Arrival at the Nazca airport. 11:30 h. Classic Flight over the Nazca Lines & Airport taxes. 12:30 h. Free time for lunch. 13:30 h. Private transport back to Lima. 19:30 h. Arrival in Lima. Drop off at your hotel. 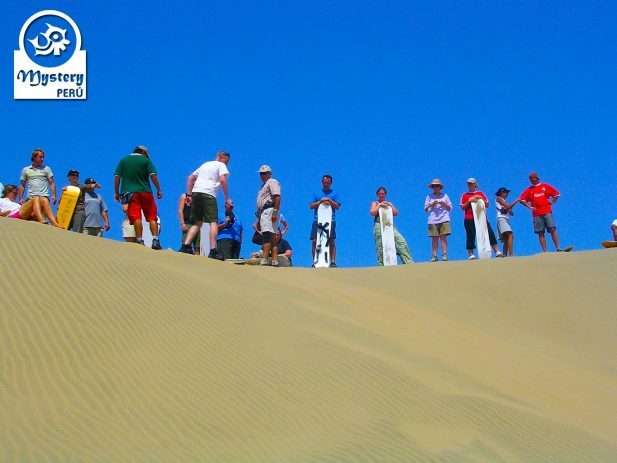 Tour to Huacachina Oasis & Nazca Lines from Lima.